You'd be forgiven for thinking that the photos on 18-year-old Morgan Beck’s Instagram page are actually from a magazine. Lush plants frame her face, making it appear as if she’s posing in a picturesque garden for a Vogue spread. But if the camera were to zoom out a few feet, you’d see the teen from Gray, Georgia posing in the floral section of a Hobby Lobby store. The shoot was part of a fun challenge that’s going viral on social media, where people (mostly teens) are snapping photos in craft stores and making it look like they’re anywhere else. 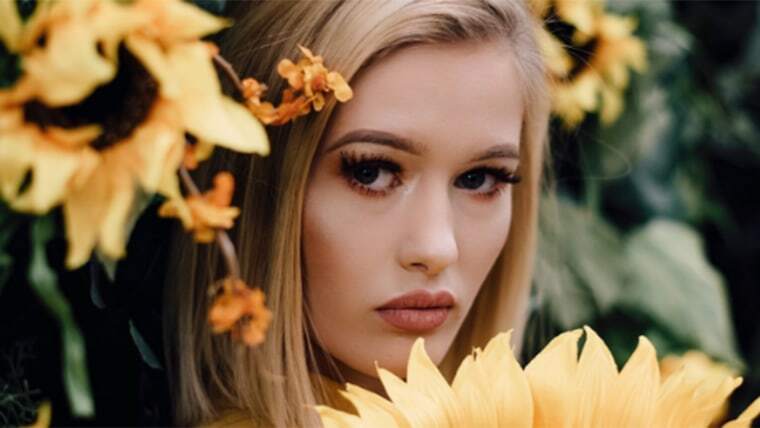 Beck worked with her photographer friend, Sierra Horsting, 19, to create the photos, taking about an hour to arrange the faux florals to set up the shots just right. “The hardest part was trying to get in the right position to capture the perfect picture,” Beck told TODAY. “It’s way harder than it looks.” One of the biggest challenges? Making sure the plants are covering up the shelves. There’s also lighting to consider and sometimes even having to deal with all of the confused looks from customers and store employees. But that’s why they call it a challenge — and many of the photos tagged #HobbyLobbyChallenge and #MichaelsChallenge have some impressive outcomes. The idea took hold when 22-year-old Kelsey Maggart of Columbia City, Indiana, first tweeted a series of photos taken at Hobby Lobby, which were later shared widely. “My friend and I came up with the idea to shoot in the floral section just because we like to shoot in places we wouldn’t normally shoot,” Maggart told TODAY, adding that they never intended on it going viral or being an actual challenge. “It’s so awesome how much it’s spread and how people are doing it because of us, though,” she said.